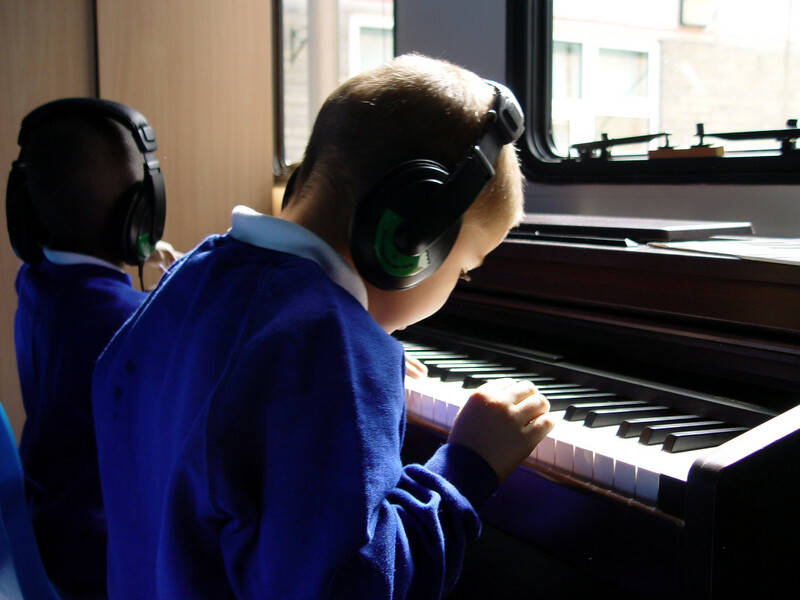 The new Orange Class children have been enjoying their regular trips to the Turney School music studio. 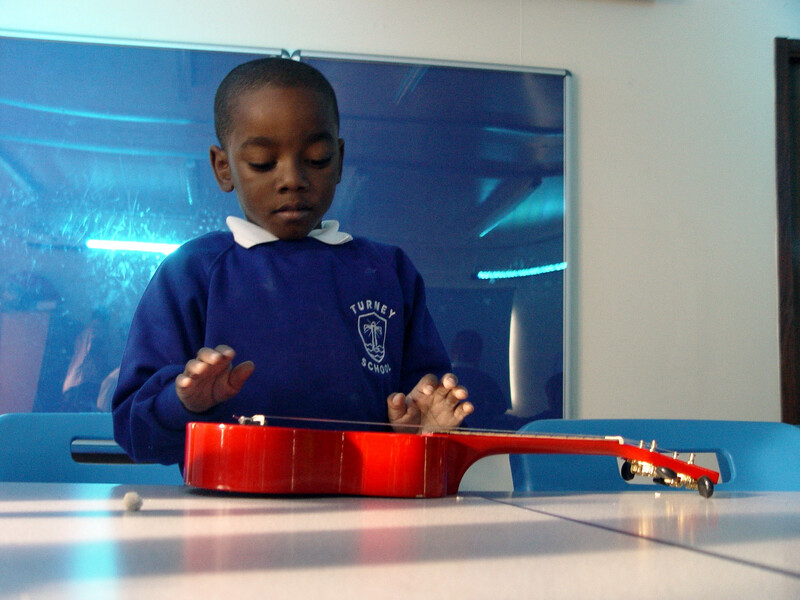 Each week the pupils get the opportunity to explore a new part of the school and to help develop their musical skills. These sessions usually start with some sensory and listening skills. A relaxed piece of classical music is played. Soft materials are available and bubbles are blown to add to the calming atmosphere. The Orange Class children are then given a choice of instruments to investigate and play. 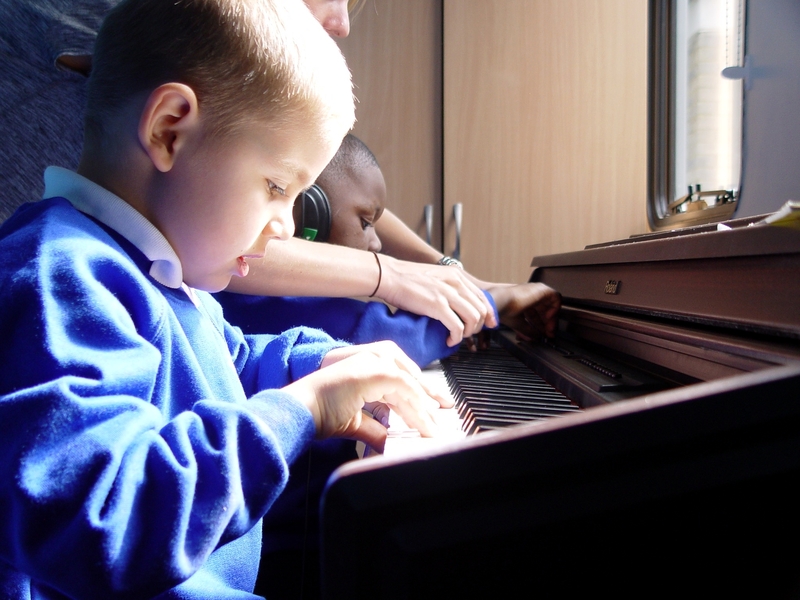 These include percussion, string instruments and also keyboards. The idea is for the children to understand how we can make different sounds. Sharing and playing together is also an important part of this learning.